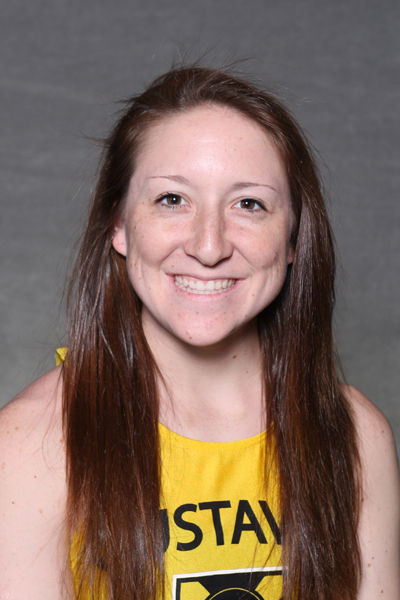 St. Peter, Minn. – A pair of Gustavus Adolphus student-athletes are set to compete in the 2013 NCAA Outdoor Track and Field Championships being held May 23-25 at Roger Harring Stadium at Veterans Memorial Field Sports Complex on the campus of the University of Wisconsin-La Crosse. Senior Josh Owens (Brooklyn Park, Minn.) and senior Allyson Voss (Wausau, Wis.) will represent the Black and Gold in the respective men’s and women’s pole vault competitions. Josh Owens is no stranger to the NCAA Outdoor Track and Field Championships as he returns to the national stage for the second straight year. Last season at the NCAA Championships held in Claremont, Calif., Owens went over the bar at 15-feet seven-inches to finish 17th overall. According to the most recent USTFCCCA NCAA Division III Rankings released on Monday, May 20, Owens sits tied for fourth in the pole vault alongside four other competitors with a qualifying height of 16-feet 1.75-inches. He recorded his season-best height just last week at the UW-La Crosse NCAA Qualifier. Owens, who was the MIAC runner-up in the pole vault the previous two seasons, claimed the gold medal at the 2013 MIAC Championships. The three-time All-Conference performer cleared a height of 15-feet 5.5-inches to take first in St. Paul on May 10. Owens is the first Gustavus pole vaulter to qualify for the NCAA Championships since Josh Gysbers did so in 2003. Gysbers is also Gustavus’s lone All-American in the event, placing seventh the same year with a height of 15-feet seven-inches. Allyson Voss is also making her second straight showing at the NCAA Championships. As a junior, Voss made Gustavus track and field history by becoming the program’s first All-American in the outdoor pole vault. Voss placed seventh last year at Claremont with a school-record height of 12-feet 7.5-inches. The Wausau, Wis. product enters the competition ranked eighth in the country with a height of 12-feet 5.5-inches. 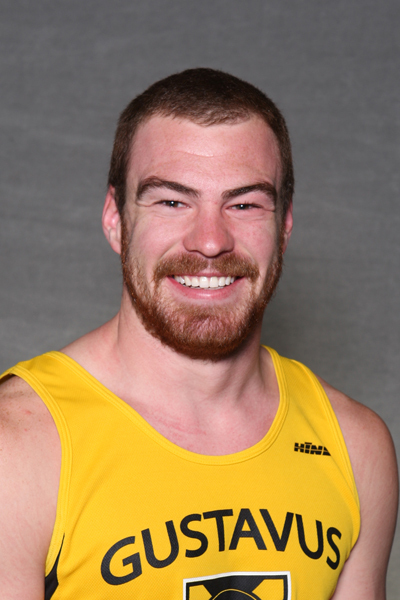 At the 2013 MIAC Championships, Voss became the first Gustavus athlete to win the pole vault in back-to-back seasons. The senior did so in record breaking fashion as well, breaking the MIAC meet record with her NCAA qualifying height mentioned earlier. Her mark bested St. Thomas’s Karoline Bastiaens’s 2003 record of 12-feet 5.25-inches. Gustavus’s first four-time All-Conference performer in the pole vault, Voss is the second two-time MIAC Champion from Gustavus. Janna Castellano was the first after winning titles in 2005 and 2007. The finals for the women’s pole vault will begin on Thursday, May 23 at 2:40 p.m., while the finals for the men’s pole vault will start later that night at 6:10 p.m.